This is a highly detailed Emile Galle cameo vase. 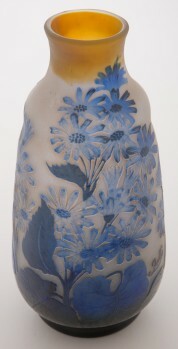 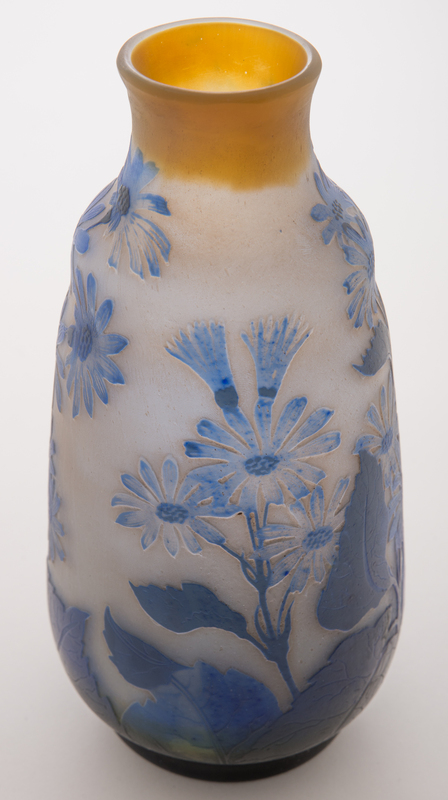 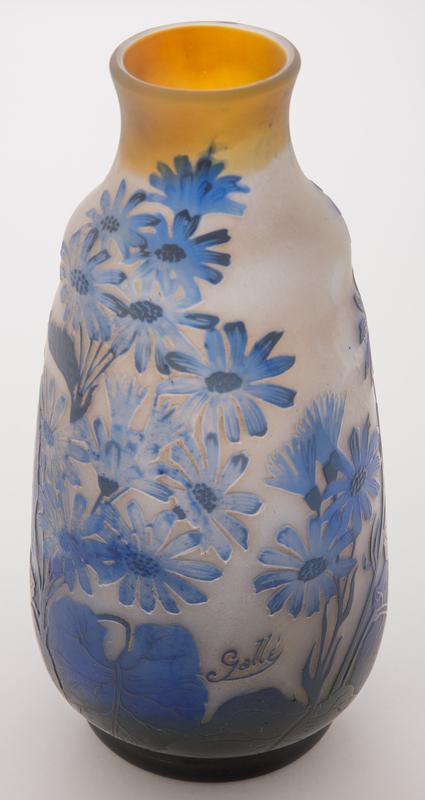 The blue flowers appear to be stylized daisies. 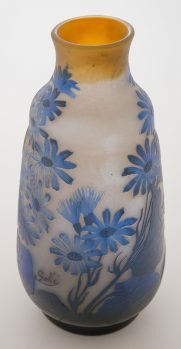 The veins in the leaves and the flower petals are visible. 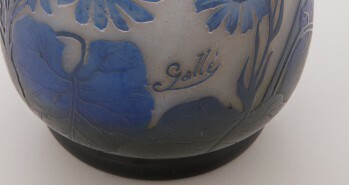 The side of the vase is signed "Galle" in cameo. 7.75 inches tall.